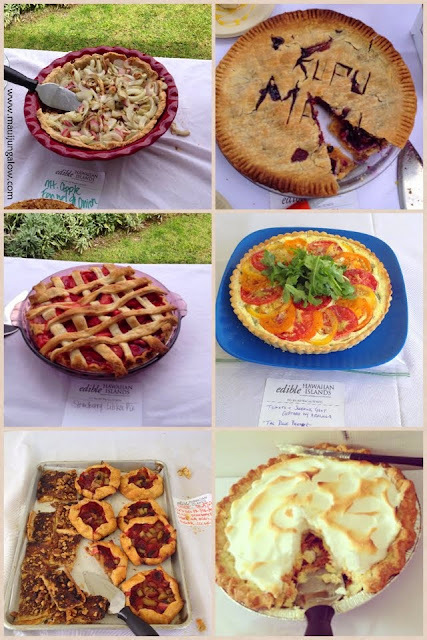 More pies - some of the more artistic ones. The spelling on the upper right was for Kupu Maui, which co-hosted the pie tweetup as a Kupu Maui "eat local" event. But we dug into the pies pretty quickly. I meant to take photos of the location and people, but was rather distracted by the pies. Most people showed up close to 10:30 am, and a few stragglers arrived later. I'd say by 12 noon, most of the pies were scarfed up. It was a lovely social event, when we didn't have our mouths full of pie. For more pics, visit the #pietweetup hashtag on twitter or #kupumaui tweets from July 2013. The pie tweet up was held at the Maui Tropical Plantation in the Waikapu area of Wailuku. This is a display at the Kumu Farms farm stand right next to the pie potluck. 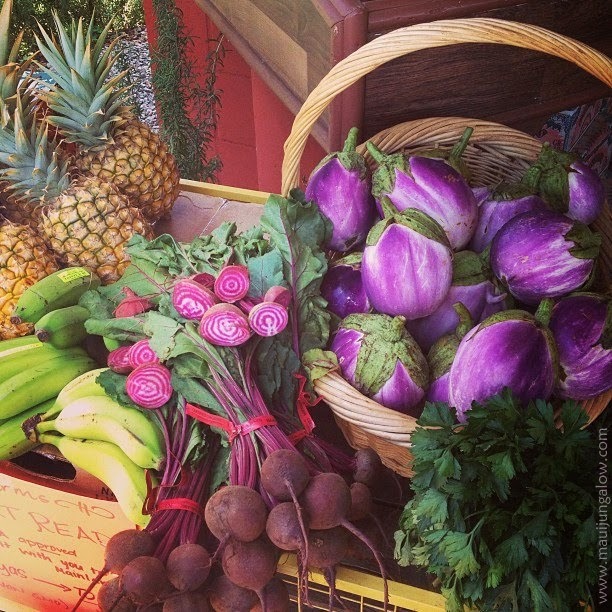 The farm stand is open 10 am to 4 pm Tuesday - Saturday. Kumu Farms has fields of vegetables at Maui Tropical Plantation, and I talked story with the Italian woman who managed the farm stand that day. 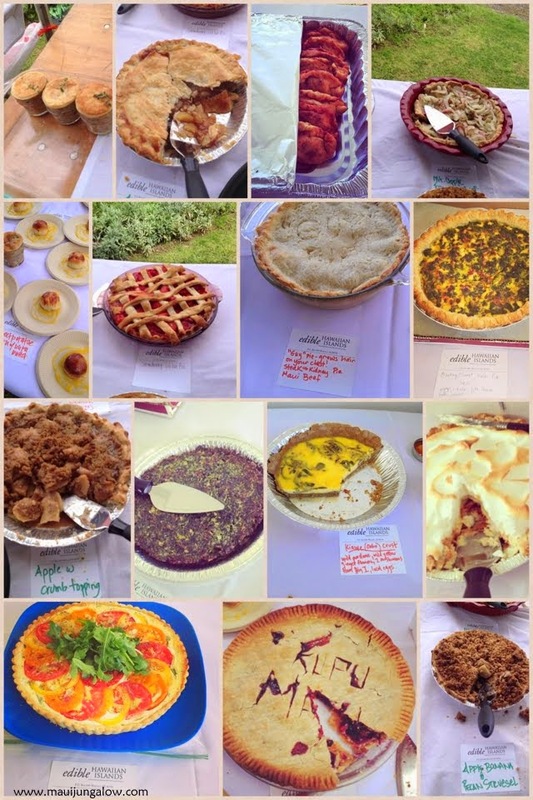 Oh my - those pies look great! Looks like a spectacular time although my waistline would probably not like it!! Pies are my favorite! Thanks for a great post, Courtney, and for documenting everyone's contribution. You're welcome! I loved the pa'u riders video especially on your recent post. Hi Courtney, thank you for this great post! Hope Flossie has been and gone with no terrible destruction- please let us know. Yes, no problems w/ Flossie for the most part. Some thunder and lightning after sunset. Some rain, but not as much as a good rain shower here. The next day was bright and clear. Though some beaches got more muddy run off the following days.